Image awarded with a RUNNER-UP in "PHOTO NIKON 2014" contest in "Nature" category. A baby Vervet monkey looking curiously at the camera, while her mother breastfeeds her between some bushes. Kruger National Park, South Africa. 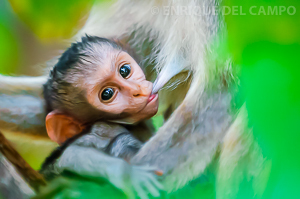 Image awarded with a RUNNER-UP in "PHOTO NIKON 2013" contest in "Nature" category. 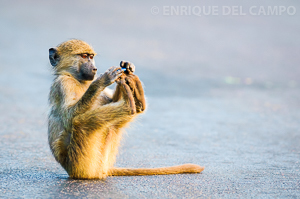 A young Chacma baboon playing with a bottle cap, which some tourist has thrown to the ground. Kruger National Park, South Africa. 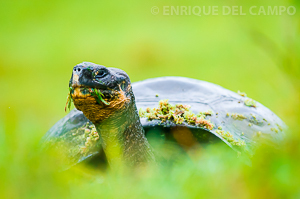 FINALIST image in the international contest "GOLDEN TURTLE 2013", in the category "Other Animals". 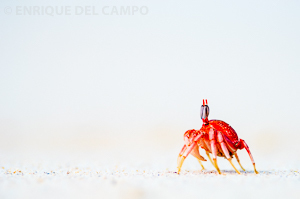 The entitled photography "The baywatch", shows a ghost crab in Cerro Brujo beach, San Cristobal Island, Galapagos Islands (Ecuador). Image awarded with a RUNNER-UP in "PHOTO NIKON 2012" contest in "Nature" category. 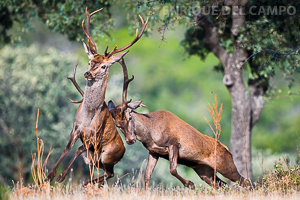 A male deer violently expels a young competitor of its territory, during rutting season in the Cabañeros National Park (Spain). 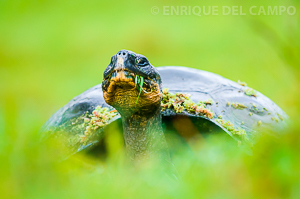 Entitled image "The Galapagos giant" received a HIGHLY COMMENDED in the International Mountain and Nature Photo Contest "MEMORIAL MARIA LUISA 2012", in "Animal World" category. Galapagos giant tortoise photographed in the wild in the highlands of Santa Cruz Island, Galapagos Islands (Ecuador). Image awarded with a RUNNER-UP in "PHOTO NIKON 2011" contest in "Nature" category. 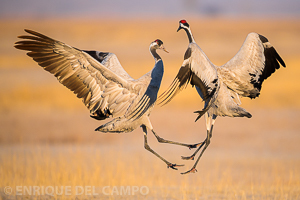 Two common cranes perform their courtship dance at sunrise in Gallocanta Lagoon, Teruel (Spain). Image awarded with a RUNNER-UP in "PHOTO NIKON 2011" contest in "Nature" category. 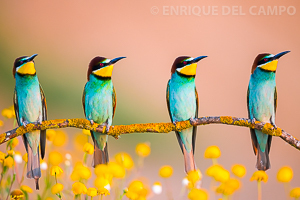 Four bee-eaters perched at the same instant on the same branch, illuminated by the first light of dawn in La Serena, Badajoz (Spain). FIRST PRIZE in the category "Man and Nature" in "FOTOCAM 2009" competition. 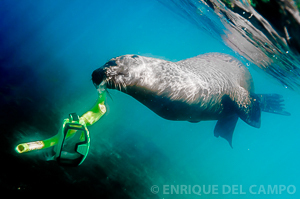 A sea lion plays with the goggles and snorkel, which has snatched a clueless tourist in the waters of the Galapagos Islands, Ecuador. Photography awarded with a HIGHLY COMMENDED in "EUROPEAN WILDLIFE PHOTOGRAPHER OF THE YEAR 2007" competition, in the category "Other Animals". Galapagos giant tortoise photographed in the wild in the highlands of Santa Cruz Island, Galapagos Islands (Ecuador). Image awarded with a HIGHLY COMMENDED in "WILDLIFE PHOTOGRAPHER OF THE YEAR 2000" competition, in the category "Urban and Garden Wildlife". 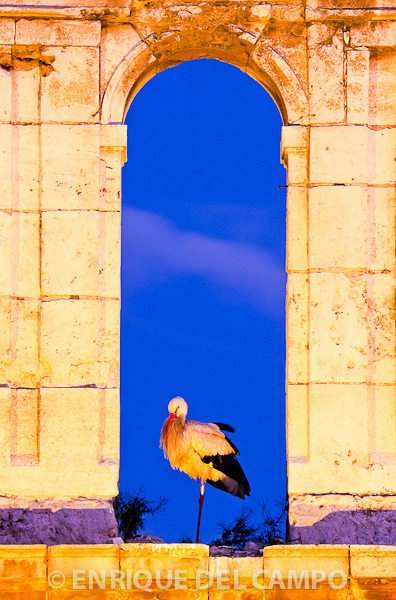 A white stork resting under the arch of a steeple in Alcala de Henares, Madrid.